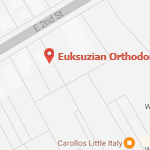 Welcome to Euksuzian Orthodontics from Sarkis Euksuzian on Vimeo. Our treatment philosophy is to provide unsurpassed orthodontic care using the most effective evidence based techniques available in the most conservative and efficient manner possible that is in the patient’s best interest. Your orthodontic treatment should be an enjoyable and positive experience to last you a lifetime! 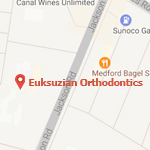 Making your orthodontic experience worth smiling about involves an office that truly cares about the quality of service it provides and the commitment to excellence through technology and continuing education. Though we take our work seriously, we pride ourselves in doing it in a fun way! 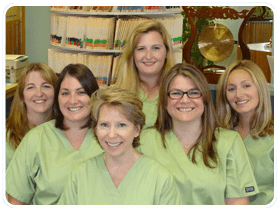 My staff and I specialize in gentle and comfortable procedures that avoid headgear and, where possible, the extraction of permanent teeth. I am proud to offer the latest technology in orthodontic treatment including: clear ceramic brackets, heat-activated archwires, clear removable appliances (Invisalign) as well as colorful ties that express your individuality, specialized educational software programs for our patients and digital photography. Infection control and sterilization are of utmost importance to me! My office provides the highest level of safety and comfort by meeting or exceeding national health standards and all sterilization recommendations of the Centers for Disease Control, the American Dental Association, the American Association of Orthodontists and the Occupational Safety and Health Administration. all brackets on my patients’ teeth. My staff and I realize that your time is as valuable as ours. We make every effort to ensure that our office schedule runs efficiently at all times so wait time can be kept at a bare minimum. I want you to enjoy coming to see us and to feel comfortable with the treatment you receive. I am always available to answer your questions and keep you updated on treatment progress. I sincerely appreciate the trust you have placed in my office. I welcome the opportunity to meet with you to further educate you on the benefits of a healthy and beautiful smile.